Usher and Chris Brown To Do A Tour Together? 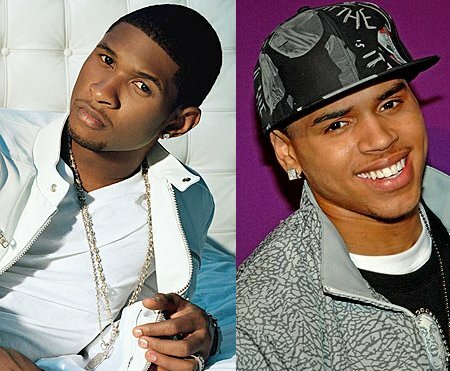 According Producer Bryan-Michael Cox, the Usher and Chris Brown co-headlining in a tour may just happen. The speculation of the team-up began when Cox revealed during Jermaine Dupri's "Living the Life" YouTube show that the R&B superstars are planning the tour. The R&B superstars made a hint to their fans after they posted a message in their Twitter account. "What would you guys say if me and Usher went on tour? ", Brown tweeted. Usher on the other hand tweeted, "If you could see Usher perform live with anyone - who would it be?" No comments and confirmation for both representatives of Usher and Brown. So what do you think of this team-up?